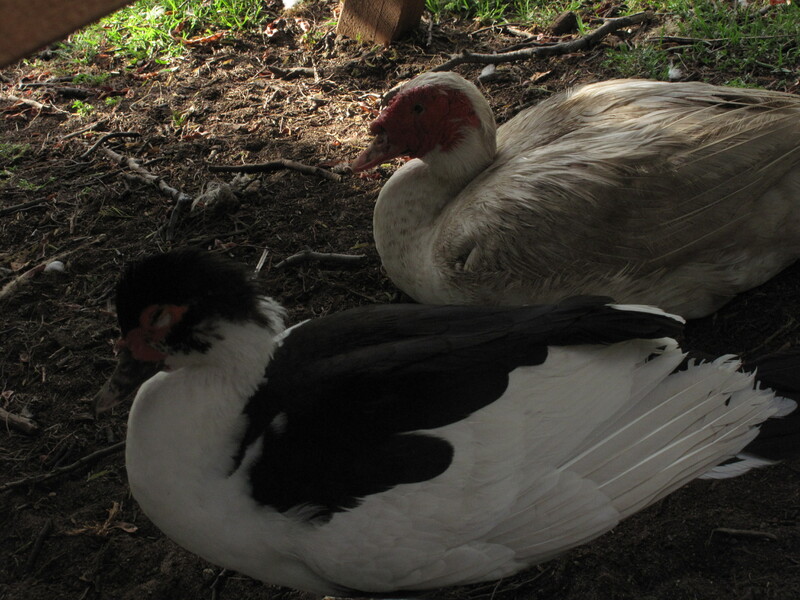 Zaruma: Tapper, as we are the only two Muscovy ducks here, I think we should get married. Zaruma: Look I’ve seen the way Daffy looks at you and I know you are fond of him but, face it, Tapper, Daffy is an Indian Runner and he can’t even fly! 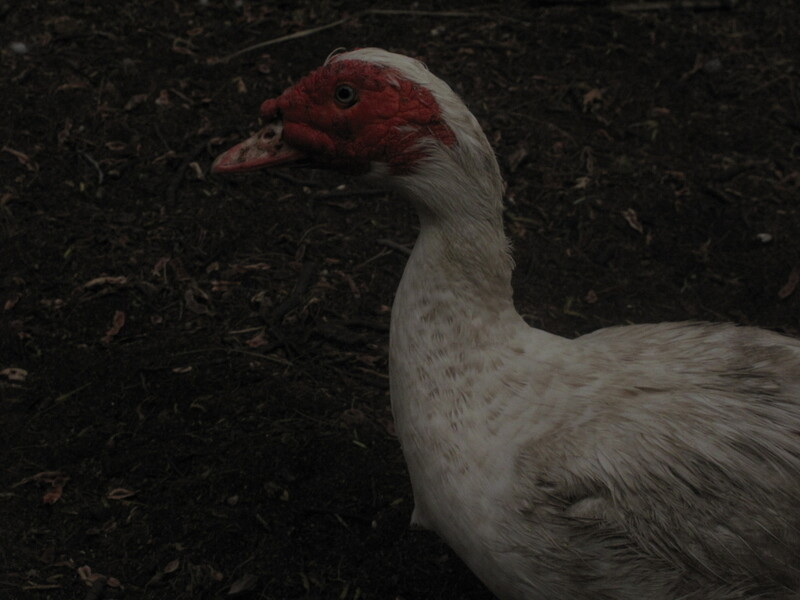 I don’t like the way he chases you around and if I have to fight him I will. Tapper, we are meant for each other. I’m in love with you and even if you don’t feel the same about me, you soon will. Zaruma: I have tried not to overwhelm you with my feelings but I think you should really consider my proposition because I am sincere and reliable and I will never ever let you down. So, what do you say? Zaruma: (singing) Whe-e-e-e-re is love? Even though I make up these little dialogues it is almost as if they really are saying these things – so funny to watch poor Zaruma be spurned by a harrassed Tapper! I love reading these type of blogs!! 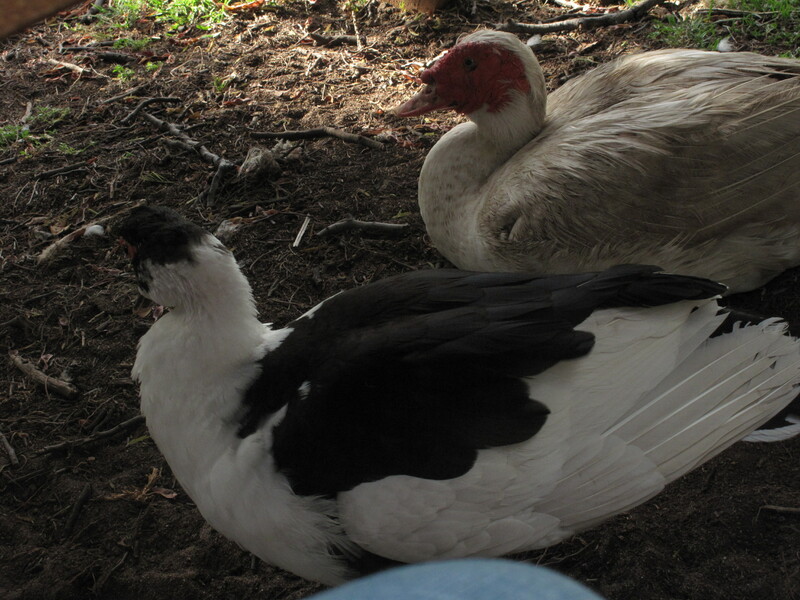 I love your animal picture stories… tells me you can hear them as well… love it.. I can hear them all right – Zaruma is getting really sad about Tapper’s indifference! I love your duck/peacock/etc dialogue. Really fits your pics. 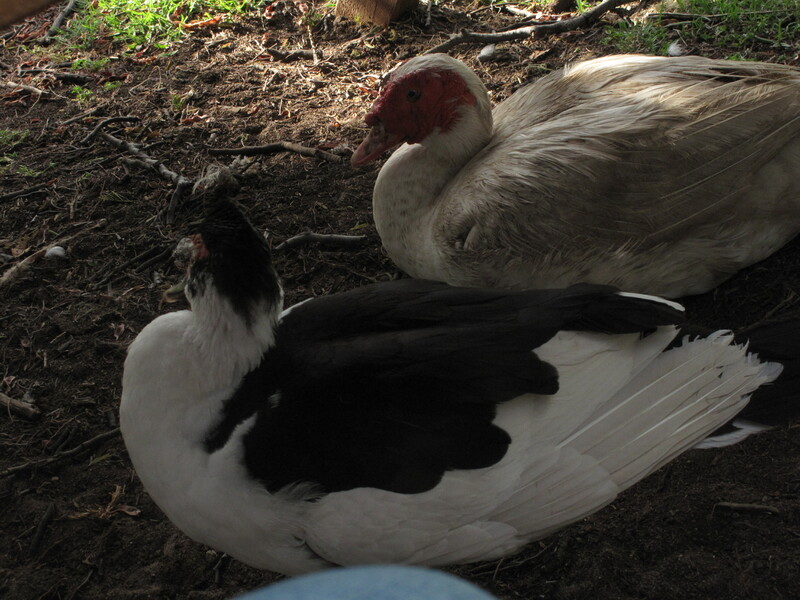 These two were under one of the outdoor tables and Zaruma kept quacking at the nonplussed Tapper – so funny! That started my day off with a smile. However, I now have ‘Where is love?’ stuck in my head! I know what you mean – me too! Of course! There’s no doubt animals can talk. It just takes a special person to understand what they’re saying. Right? Sometimes love is a game of “hit and miss”. Very funny, Julie.